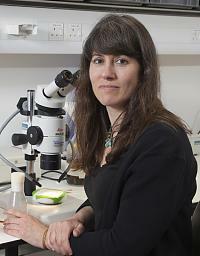 Professor Andrea Brand FRS FMedSci is pleased to consider applications from prospective PhD students. Uncovering the molecular mechanisms that control neural stem quiescence and reactivation is crucial for understanding tissue regeneration under normal and pathological conditions and in response to ageing. It is critical to learn not only how stem cell proliferation is induced but also how stem cells can return to a quiescent state, as uncontrolled stem cell division can lead to cancer. My lab combines cutting edge genetic and molecular approaches with advanced imaging to study the reactivation of Drosophila neural stem cells in vivo. The questions we are addressing are: How do environmental signals influence neural stem cell behaviour? What are these signals and how are they received by the stem cell niche and transmitted to neural stem cells? What are the transcriptional and epigenetic changes in neural stem cells in the transition from quiescence to proliferation? How are neurons maintained in a differentiated state and what molecular changes lead to dedifferentiation and cancer? BNA2017 Festival of Neuroscience - Registration now open! Caygill EE, Brand AH. (2017), “miR-7 Buffers Differentiation in the Developing Drosophila Visual System.” Cell Rep. 20(6):1255-1261. Otsuki L, Brand AH. (2017), “The vasculature as a neural stem cell niche.” Neurobiol Dis. 107:4-14. Marshall OJ, Southall TD, Cheetham SW, Brand AH. (2016), “Cell-type-specific profiling of protein-DNA interactions without cell isolation using targeted DamID with next-generation sequencing.” Nature Protoc. 11(9):1586-98. Marshall OJ, Brand AH. (2015), “damidseq_pipeline: an automated pipeline for processing DamID sequencing datasets.” Bioinformatics 31(20):3371-3. Spéder P, Brand AH. (2014), “Gap junction proteins in the blood-brain barrier control nutrient-dependent reactivation of Drosophila neural stem cells.” Dev Cell. 30(3):309-21. Cattenoz PB, Popkova A, Southall TD, Aiello G, Brand AH, Giangrande A. (2016), “Functional Conservation of the Glide/Gcm Regulatory Network Controlling Glia, Hemocyte, and Tendon Cell Differentiation in Drosophila.” Genetics 202(1):191-219. Caygill EE, Brand AH. (2016), “The GAL4 System: A Versatile System for the Manipulation and Analysis of Gene Expression.” Methods Mol Biol. 1478:33-52. Gold KS, Brand AH. (2014), “Optix defines a neuroepithelial compartment in the optic lobe of the Drosophila brain.” Neural Dev. 9:18. Korzelius J, Naumann SK, Loza-Coll MA, Chan JS, Dutta D, Oberheim J, Gläßer C, Southall TD, Brand AH, Jones DL, Edgar BA. (2014), “Escargot maintains stemness and suppresses differentiation in Drosophila intestinal stem cells.” EMBO J. 33(24):2967-82. Liu J, Spéder P, Brand AH. (2014), “Control of brain development and homeostasis by local and systemic insulin signalling.” Diabetes Obes Metab. 16 Suppl 1:16-20. Loza-Coll MA, Southall TD, Sandall SL, Brand AH, Jones DL. (2014), “Regulation of Drosophila intestinal stem cell maintenance and differentiation by the transcription factor Escargot.” EMBO J. 33(24):2983-96. Otsuki L, Cheetham SW, Brand AH. (2014), “Freedom of expression: cell-type-specific gene profiling.” Wiley Interdiscip Rev Dev Biol. 3(6):429-43.